With the celebration of Martin Luther King Jr. Day, it is important to think about how we can talk to our kids about biases, racism, police brutality, and violence. Often, Bulldog Solution will be called into schools to run assemblies or programs due to racial slurs or racial bullying. Instead of pointing the finger, I would like for us to think about our own actions and biases. How are we impacting our communities? What are we doing to educate our kids, sitting around the table, hearing us share our opinions as facts about racism and police brutality? What are our children hearing and what message do we want to share with them? First, the lack of education, compassion, and love concerns me. Debates about #BlackLivesMatter versus #AllLivesMatter is absurd. People are quick to share their opinion without thinking about the repercussions. Even celebrities are quick to jump on the bandwagon without understanding what they are posting. I today I want to share with all of you what both of these hashtags really mean. What is #BlackLivesMatter: It is a movement/social justice group that uses a decentralized approach and relies mostly on local rather than national leadership. Black Lives Matter is built from a network of local chapters that mostly operate independently, and they took their movement to the streets. “Black Lives Matter is an ideological and political intervention in a world where Black lives are systematically and intentionally targeted for demise. It is an affirmation of Black folks’ contributions to this society, our humanity, and our resilience in the face of deadly oppression.” –Black Lives Matter. We usually then end up ranting online and publicly asserting our opinions. But really is that helping or are we spreading a violent virus and looking to blame? We are finding ways to take down the infrastructure that we built, taking away our own sense of safety. Vigilantes are roaming the streets, police are getting death threats, and massive violence is still occurring. That is not the message of #BlackLivesMatter, racism and police brutality will not end with massive shootings or assaults. Violence is not cured by violence, it is cured with compassion and love. So how do we show love in times of hate? We talk to each other, we listen with compassion, and we educate our kids. This Ted Talk below really spoke to me. 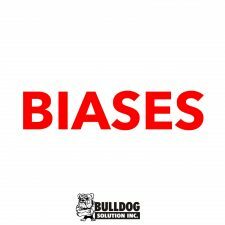 Verna Myers brings to life our biases and how this can easily lead to racism. Her message is powerful and I want you to take it with you, so next time your biases are staring you in the face, you can make a different choice. A powerful choice that might just save a life.